We took a swift trip down to the capital on Monday to go to our new favourite comedy night Popcorn Comedy. 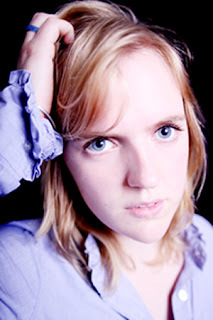 On the menu was live stand up from Holly Walsh, Josie Long, Robert Popper and Peter Serafinowicz plus a load of hilarious videos from around the net. For all our excitement we’d almost entirely forgotten we were screening anything ourselves at Popcorn. So, when the words ‘Dice Productions‘ shimmered across the huge screen at the Tabernacle in Notting Hill as the first film up we were almost surprised. It was very satisfying to see Message in a Bottle on a big screen again in front of such a big crowd (including famous faces like David Walliams, Graham Linehan and Edgar Wright no less). It was even better to hear the eruption of laughter when the bottle smashes into poor old Melvin’s crumpled face. Poppy, the animated popcorn tub host, even chided us on our frivolous waste of perfectly good wine. And rightly so. After that good start the quality was maintained with Holly’s observational lovliness and a film about why she never became a hand model, and Josie’s presentation/lecture about a man and his devotion to breakfasts which was particularly splendid. The videos were all great with the VMA People’s Choice Award-winning CGI-brows by Rocket Sausage, Second Date by Joni Browne and Misery Bear by Nat Saunders and Chris Hayward (a.k.a Worm Hotel) standing out as highlights. I also loved seeing Doc Brown’s dressage-inspired rap video again and subsequently can’t wait to see him – as well as Holly – live at the next Popcorn Comedy in Birmingham. 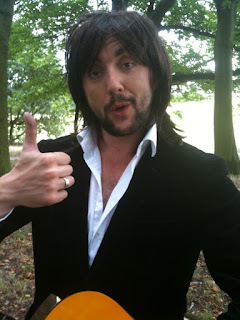 Robert Popper gave everyone a dose of Robin Cooper’s wonderfully silly phonecalls (including an amazingly patient Sky customer service man and a 65% good Maggie Thatcher impression – and Peter Serafinowicz rounded off the night with a cracking set as 1969-era Paul McCartney. If you missed it, don’t fret, videos for his songs are currently in production at Funny or Die. We also met a load of new people we know through Twitter and caught up with Julian and Gus from Kipple/Youpigs as well as meeting FoD head James Serafinowicz and Holly for the first time. Big thanks to Jon for inviting us down and showing our stuff, as well as putting on a great show. Our man in the field Chris went as far as describing the night as “the best £7 I’ve spent in London in a long time”, and I’m inclined to believe him. Roll on Popcorn Birmingham! To buy tickets, click this link HERE. 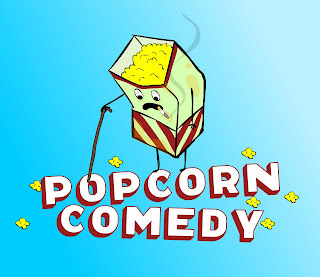 ← Popcorn Comedy comes to Brum!